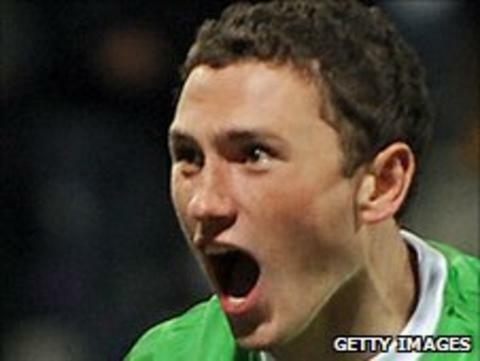 Manchester United's Northern Ireland midfielder Corry Evans is set to complete a move to Hull City. Evans joined the club on loan in January and has scored three goals in 15 games for the Championship club. The Northern Ireland player can only officially sign on 8 May but terms have been agreed on a three-year deal. The initial fee will be £500,000 but will rise if Evans makes a certain number of appearances and Hull earn promotion. Evans' brother Jonny plays for Manchester United and is also a Northern Ireland international.